Thailand Business Visa | Non-Immigrant Visa Type "B"
If you want to work in Thailand legally, conduct a business here or seek employment, you will need to apply for a Non-Immigrant visa type “B”, also known as “business visa”. This visa category is specially designed for foreigners who want to work or set up a business in Thailand legally and is the basic requirement for applying for a work permit. Foreigners interested in doing business or seeking an employment in Thailand should initially apply for a 90-day Non-Immigrant visa type “B” preferably in their home country or country of residence. The work permit application then takes place during the initial 90 days of permitted stay. Once a valid work permit has been obtained, the applicant can extend his initial 90-day permission of stay to a full one-year visa at a local immigration office. This type of visa can be renewed annually inside the kingdom, and no visa runs are required. The visa holder must however report to his local immigration office every 90 days. Important note: In order to work in Thailand legally you won’t just need the correct visa but will also have to apply for a work permit. A Non-immigrant “business visa” is only the basic requirement to apply for a work permit but does not entitle the visa holder to work or conduct a business unless a work permit has been issued. It is highly recommended to apply for a Non-immigrant visa at a Thai embassy or consulate in your home country. Visa application in Western countries, especially for Non-Immigrant visas, is generally a lot easier than at embassies in the South-East Asian region. Multiple-entry visas should also be issued without any problems. Please contact your nearest Thai consulate to see if you qualify for a “business visa”. The documentation required for a successful visa application may vary from country to country and depend on individual policies. In order to obtain a Non-immigrant visa “type B” from a Thai embassy around Asia, you must either have a valid work permit or produce the so-called WP3 form. This paperwork is a kind of receipt from the Thai labour office, confirming that the necessary application for a work permit has been submitted and that you may now apply for the appropriate visa. 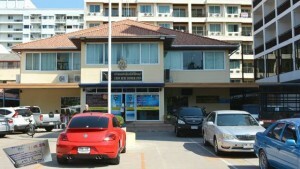 Three-year business visas are also available at Royal Thai Embassies, however not at Thai consulates. This visa may be issued to aliens who wish to visit Thailand regularly for business purposes. Employment of any kind is strictly prohibited for holders of this visa: Three-year Non-Immigrant visa “B” (Business only). To find local business consultants, legal advisors or law firms that can assist you with setting up your new business in Thailand, company registration, work permit etc. 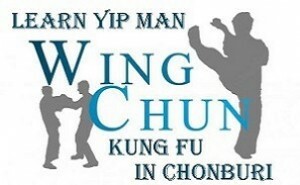 please check our dedicated Business in Pattaya page. The following excerpt is based on information from the official website of the Ministry of Foreign Affairs. 1.1 Foreigners who wish to work, conduct business or undertake investment activities in Thailand must apply for a Non-Immigrant visa at a Royal Thai Embassy or Royal Thai Consulate-General. Various categories of Non-Immigrant visa are currently provided to meet the needs and qualifications of individual business persons. These include business visa category “B”, business-approved visa category “B-A” and investment and business visa category “IB”. Holder of this type of visa wishing to work in Thailand must be granted a work permit before starting work. 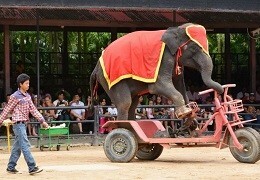 The visa fee is 2,000 Baht for single-entry with three-month validity and 5,000 Baht for multiple entries with one-year validity. Fees may vary from country to country, depending on where you apply for the visa. 2.1 Non-Immigrant Visa Category “B” (Business Visa) is issued to applicants who wish to enter the Kingdom to work or to conduct business. – Passport or travel document with validity of not less than 6 months. – Completed visa application form. – Recent passport-sized photograph (4 x 6 cm) of the applicant taken within the past 6 months. 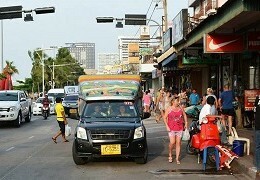 – Evidence of adequate finance (20,000 Baht per person and 40,000 Baht per family). – Letter of approval from the Ministry of Labour. To obtain this letter, the applicant’s prospective employer is required to submit Form WP3 at the Thai labour office in his/her respective province. The WP3 form is a kind of receipt from the labour office confirming that the necessary application for a work permit has been submitted (and that the applicant will actually be employed). – Copy of Work Permit issued by the Ministry of Labour and alien income tax (only in the case where applicant has previously worked in Thailand). – Passport or travel document with a validity of not less than 6 months. – Recent passport-sized photograph (4 x 6 cm) photograph of the applicant taken within the past 6 months. – Letter from the applicant’s company indicating the applicant’s position, length of employment, salary and purpose of visit(s) to Thailand. – Documents showing correspondence with business partners in Thailand. – Evidence of financial status in the case where the applicant is self-employed. – Letter of invitation from trading or associated partners/companies in Thailand. (3) Copies of company documents must be signed by the Board of Directors or authorised managing director and affix seal of company. (4) Additional documents may be requested as and when necessary. Applicant must endorse on each and every page of the submitted copies of documentation. Documents in foreign languages must be translated into Thai and should be notorised by notary organs or by the applicant’s diplomatic or consular mission. 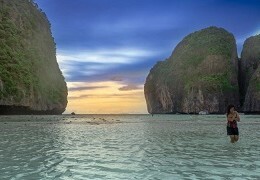 (5) Holder of this type of visa is entitled to stay in Thailand for a maximum period of 90 days. He or she may apply for an extension of stay at the Office of the Immigration Bureau and may be granted such extension for a period of one year from the date of first entry into Thailand. The granting of such visa to qualified applicants is under the jurisdiction of the Office of the Immigration Bureau in Bangkok. The applicant’s associated company in which he or she will invest in or conduct business with may apply for this type of visa on behalf of the applicant at the Office of the Immigration Bureau. Once the application has been approved, the Immigration Bureau will advise the concerned embassy or consulate via the Ministry of Foreign Affairs to issue the visa to the applicant. The “B-A” visa holder will be permitted to stay for a period of one year from the date of first entry into the Kingdom. – Letter of acceptance from employing institute or school in Thailand. – Letter of approval from government agencies such as the Office of the Private Education Commission, or the Office of the Basic Education Commission. – Evidence of educational qualification such as diplomas or teaching certificates. – School license or business registration, list of shareholders and school profile. 3.1 Upon entry into the Kingdom, the applicant must apply for a work permit at the labour office in his or her respective province and will be obligated to pay income tax accordingly. I just recently check your website and I really impressed your information about start business and open company in Thailand . for my self I belong to India and running my export import company from last 7 year , just recently I will check Thailand market . so I be interested to non-immigrant one year business visa , so can you give me information and how I can pay and which document you need from my side . I apply visa my home country New Delhi . so please reply me soon . I shall wait for your reply . Hi Vijay, we’re no visa agency so cannot help you with applying for a visa etc. Please talk to the Thai consulate in New Delhi to see whether or not you qualify for a one-year non-immigrant business visa and which documents you need in your specific case. Good luck! That really depends on your specific business concept. After doing your homework (make the right contacts in Thailand etc.) you would obviously have to set up a company (you need Thai shareholders for that as the company must, at least on paper, not have more than 49% foreign shareholders) and apply for a work permit. Next would be to find a location for your shop/warehouse, find staff etc. The basic stuff really. Hi please could you give me information concerning the 3 years B multiple entry visa for people who wants to conduct business in Thailand : owner of business but not employed to work. Is there any necessity to obtain a work permit in this case? Sorry, we can’t really. Please talk to your nearest Thai consulate or embassy. Requirements may vary from country to country, consulate to consulate etc. “Necessity to obtain work permit?” 100% yes, that’s if you want to do it all legally. Hi, just want to know if 3 months non b visa about to finish how much time before we have to apply for 1year non b visa. Not sure myself but I would say as early as possible. Best is you ask at your local immigration office. So what your saying is if I have my own online business back in my own country and I sell software, there is no type of visa that allows me to operate my business overseas/register it as a thai business instead? even if i’m willing to pay thai tax? You can certainly register a Thai company limited for your business and apply for a Non-Immigrant type “B” visa etc. But if you only work online, payments go to an account in your home country etc. I can’t see a reason why all that hassle would be necessary? 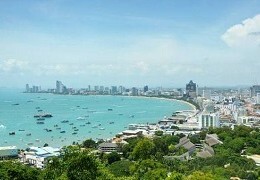 is there an agent in Pattaya, that can handle all the process for me for a non B visa. 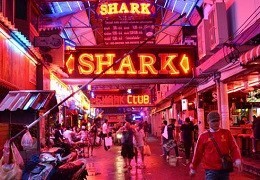 Please have a look at the links at the bottom of our business in Pattaya page. I am from Europe I am justing going to process for the visa, I just received a NON B, and the WP is being processed, but I noticed that the company as my salary wrote, 20000 baht only. I will be able to extend the visa to 1 year? with such low salary?